The Competition Tribunal recently held that Visa and MasterCard’s rules do not constitute resale price maintenance, because their product, credit card network services, is not resold by their customers (known as “acquirers”). The Competition Act’s resale price maintenance applies where a supplier of a product influences upward the resale price of a product. For this provision to apply, the product must be resold by the supplier’s customer. As a result of this finding, the Tribunal dismissed the Commissioner of Competition’s challenge to certain “Merchant Rules” imposed by Visa and MasterCard. The Networks: in this case, Visa and MasterCard. The Issuers: the issuers are financial institutions such as banks that issue Visa or MasterCard credit cards. The Acquirers: acquirers are intermediaries between Merchants and the Networks. They acquire the transaction from the Merchant, process it, receive payment from the Network, and remit payment to the Merchant. Merchants: merchants are businesses that accept credit card payments. Cardholders: cardholders are individuals or businesses that use credit cards to pay for goods and services. 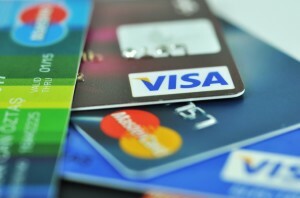 Credit card payments generate a number of fees. Issuers pay Visa and MasterCard a network fee per transaction. Acquirers also pay Visa and MasterCard a network fee, which is a percentage of the value of the transaction. In addition, Acquirers pay interchange fees per transaction to Visa and MasterCard and the revenue collected is provided to the Issuers. The interchange fees are a percentage of the value of the transaction and fluctuate depending on the type of credit card used and the business status of the Merchant. The Acquirer’s interchange fees are passed on to Merchants and Merchants also pay acquirer service fees. The fees paid by Merchants are referred to as Card Acceptance Fees. The “no-discrimination rule,” which is imposed only by MasterCard and prohibits discrimination as between different brands of credit cards. Merchants incur different Card Acceptance Fees depending on the type of card that is being used as a method of payment by a Cardholder. For instance, Merchants accepting premium credit cards (which may offer rewards and are designed for ‘big spenders’) often carry higher fees than standard credit cards. Merchants pass on these fees to consumers through higher prices for goods and services. The Commissioner claimed that the agreements Visa and MasterCard have with Acquirers, which require Acquirers to impose Merchant Rules on Merchants, constitute resale price maintenance (RPM) because they influence upward or discourage the reduction of Card Acceptance Fees. These fees could otherwise be reduced if Merchants were able to impose surcharges on customers using these credit cards, or encourage customers to use other methods of payments that cost less. The Tribunal held that the Commissioner could not establish that a product was resold to a customer, a finding that was fatal to the Commissioner’s application. Paragraph 76(1)(a)(i) of the Competition Act requires a resale of a product, although the product that is resold does not need to be identical to the initial product supplied, the Tribunal held. Generally, however, the product that is resold should be identical or substantially similar. Visa and MasterCard supply “Credit Card Network Services” to Acquirers, which is a different product from the “Credit Card Acceptance Services” that Acquirers provide to Merchants. Therefore, Acquirers do not resell Credit Card Network Services of Visa or MasterCard. Even though this finding ended the case, the Tribunal continued in their analysis in the event they were wrong to conclude that paragraph 76(1)(a)(i) requires a resale or in their finding that the Commissioner had not met the requirements of that paragraph. Under this analysis, the Commissioner would have met his burden of proof by demonstrating that the “no surcharge rule” influenced the price upward and had adverse effects on competition. The Tribunal held that they would still not exercise their discretion under this analysis because a regulatory approach was a better option than making an order under section 76. This case was the first to test the amended civil RPM provisions. Until recently, RPM was a per se criminal offence in both Canada and the United States. In Canada, the criminal RPM provision left out the resale requirement, in order to capture both vertical and horizontal price maintenance. Various studies advocated for the decriminalization of RPM. In 2007, the United States Supreme Court abandoned per se illegality for RPM, holding that RPM should be analyzed using the “rule of reason” standard. Canada followed suit in 2009 with amendments to the Competition Act that removed RPM from the criminal part of the Act to the civil part, and narrowed the provision to make it applicable only to vertical price maintenance by adding the resale requirement. Influencing resale prices upward, or discouraging their reduction (paragraph 76(1)(a)). Cutting off or discriminating against a reseller because of the resellers low pricing policy (paragraph 76(1)(b)(ii)). It is important to emphasize that price maintenance is now presumptively lawful in Canada. However, the Tribunal can prohibit a business from engaging in price maintenance if it finds that the practice is having or is likely to have an adverse effect on competition. The Visa and MasterCard case is an example of an attempt by the Commissioner to expand the scope of the price maintenance provisions in order to address conduct that did not constitute price maintenance in classic sense. The Tribunal’s decision makes it clear that it is unwilling to stretch the statutory language to cover conduct that does not fit within it. The Bureau has announced that it will not be appealing the decision.